Antiquities Authority archeological excavations at the foothills of Akko's southern wall have revealed apparatuses belonging to a port which was operational in the Hellenistic period (2-3 century BC) – and was the most important port in Israel at the time. The findings were discovered during archeological excavations being carried out as part of an Old Akko Development Company wall conservation project, funded by the Israel Land Administration. 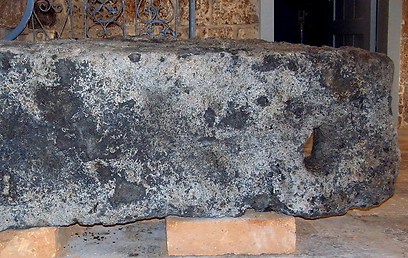 Initial evidence to the existence of the dock was first discovered in 2009, when a section of flooring made of large chiseled sandstone using what looks like the Phoenician construction style – typical of construction in maritime locations. The floor, which was discovered beneath sea level, raised many questions among the archeologists; other than the possibility of a wharf floor, another option raised by the archeologists was that it was the floor of a large structure. According to Kobi Sharvit, Director of the Antiquities Authority Marine Unit, "Among the findings we discovered were large mooring rocks (250-300 kilograms each) which were intermingled with the dock and used to tie watercrafts that docked in the port 2,300 years ago. "This unique and important find answers our question over whether it was a port facility or structure floor." Dozens of meters of what looks like a landslide of large chiseled rocks that may have belonged to large structures or faculties. The findings also reveal a clear picture of systematic and intentional destruction that took place in ancient times at the port. Sharvit adds that "In recent days we uncovered a finding that brought up the possibility that we are digging up parts of Akko's military port. "It seems that the floor between the walls slants in a southerly direction with a few collapsed stones in the center. We can assume that this is an apparatus used to lift ships to shore – most likely, warships." According to Sharvit "only continued archeological excavations can confirm or disqualify the claims." The ancient port floor was uncovered beneath the facilities. There, they found mooring rocks and thousands of pottery fragments including dozens of intact pieces and metal ware. Initial identification processes indicate that many of the pieces originated in islands on Aegean including: Rhodes, Kos and others as well as other port cities on the Mediterranean shores. The discoveries are firm archeological evidence of the location of the Hellenistic port and may even prove the location of a military port. 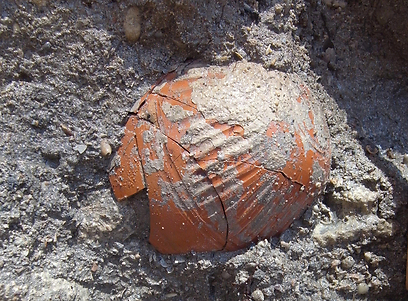 Sharvit stressed that before these excavations, the location of the port was unclear. Remnants of the port were found in excavations held at the beginning of the 80s by the late Dr Elisha Linder and the late Professor Avner Raban near the new marina. Now, for the first time, portions of the port that meet the ancient shoreline and Hellenistic city have been revealed. 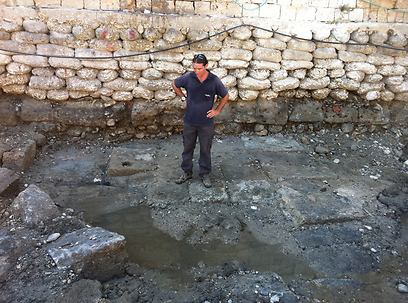 "Sadly portions of the dock continue beneath the Ottoman wall – portions which we will mot likely not be able to excavate in the future, Sharvit added. Nonetheless, excavations will continue on portions of the port heading towards the sea and the port in attempts to try and discover the purpose of the port and whether there is any connection between the port's destruction and the destruction carried out by Ptolemy in 312 BC, the destruction caused by the Hasmonean revolt in 167 BC or another event. See all talkbacks "2,300 year old port discovered in Akko"